This month: Interview with Dmitry, who has been learning with German Online Institute for quite some time. At the time of the interview he still lived in Kiev, but today he successfully lives and works in Germany. Please tell us how many years you study German and how many hours per week you invest in your lessons, revision and homework in total? I have been learning German for almost three years. Before I studied two years at the Goethe Institute in Kiev. I had no previous German knowledge. I studied 2 years in Goethe with about 4.5 hours a week. Back then I’ve learned together with my wife. It was a nice hobby to spend time together. Since summer 2012 I am studying with the German Online Institute. I usually have 1 hour a week and 2 before the German exams. How many hours in total? A good question for a Google Talk. I try to calculate this: 2 years in GOI 2×52 + 6 trimesters in Goethe-Institut 6×68 = 512 hours. Please tell me what initial reasons did you have to learn German? Did you plan to emigrate to Germany from the very start? I used to travel a lot with my wife. We were often in Germany. We liked the country. But you can not do much without language. At the same time, I thought it would be nice to have a hobby outside the workplace where we could spend time together. Learning German was a perfect fit for us. Do many Ukrainians learn German? If so, what do you think why that is? No. Most people usually learns English at school and university. English is taught in the 95% cases. English is in the requirements of employers. It is really the lingua franca of our time. German is relatively rare in the Ukraine, so the demand is not very high. Where do you see the biggest challenge to learn this language and ultimately master it? And what do you particularly like about it? This can sound strange, but I like the many similarities between German and Russian, the suffixes and the word formation. For me, Russian is closer to German than to English. German is also a very rich language. There are many ways to express yourself. This is also where the advantages for those who can speak German and disadvantages for the German learners are hidden. As challenges, I see the articles and the word sequence in the sentence. I always have to pay attention to them during a conversation. If you could give other learners a tip, what would it be? If you want to get fire, you have to rub the stick very quickly. “Rubbing” a year slowly on your German skills will bring you nowhere. If you really want to have progress, then do an intensive training. This is not easy at all, but the harvest will be sweet. You finally decided to go to Germany. How difficult did you find the application and immigration process? Can you briefly explain the general steps? It is relatively easy to move to Germany if you want to work in a technical field. With the so-called Blue Card, one must only have the employment contract and an university diploma. The employer does not have to do anything. In the Ukraine you can find work in my industry (IT) within a week. This takes much longer in Germany. From the first sent application to the employment contract 9 months passed. Enough time for our twins to be born! But I had a job in Kiev then and could not hurry. I have sent the applications selectively. So no spam attack. There is a positive result for about thirty CVs. The talks were only in German. In the beginning it was exhausting, but after a while they became much easier. Sometimes my application got denied due to insufficient knowledge of German. You first went to Stuttgart alone and your family followed months later. What were the greatest challenges to get settled and settle in Germany alone? Many small things had to be done. Registration, opening a bank account, getting my driving license, getting acquainted with my colleagues, finding an apartment, etc. But the biggest challenge for me was that my family is in the Ukraine and I am here. I miss them and fly once a month to Kiev to see them. What, in your opinion, are the differences and common traits between Germans and Ukrainians? In my view, my German colleagues are extremely hardworking. They come to the office and start working immediately and work until the evening. I do not want to say that the Ukrainians are lazy, but our pace is slower. To the commonalities: we are all human beings. And we have, in spite of different languages, religions and cultural differences, the same wishes, fears, and common values. Seeing differences is easy, seeing commonalities is more difficult. 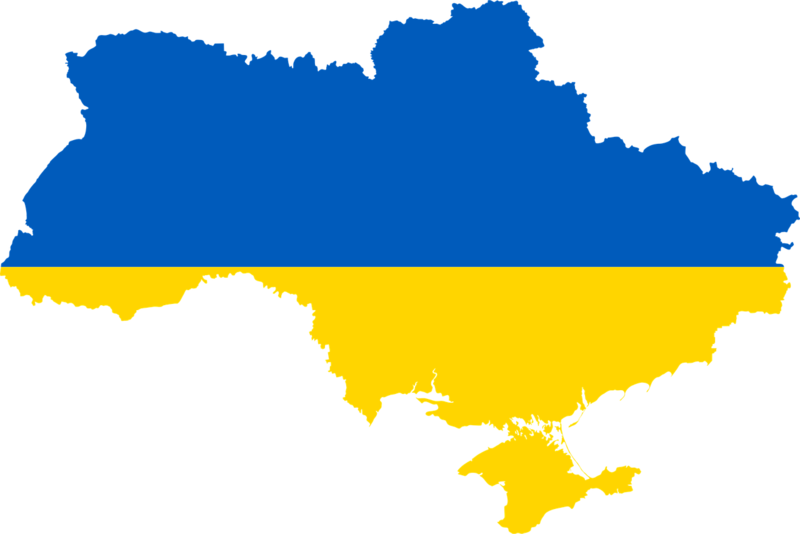 What do you miss most about the Ukraine and will you return in the future? Despite all the unrest and perhaps lower quality of life compared to Germany, Kiev is my home. My big family lives there, and stays there forever. The farther from home you are, the stronger you feel what these roots mean. Now I am 30, I have 5 years of professional experience and (yet) no children. This is an ideal time for me to try something new to work abroad. But stay here forever? I’m not so sure. Each decision has advantages and disadvantages. The advantages to stay in Germany are perhaps known. The disadvantages for me are: the whole life to be a foreigner, no career development, and my parents who live in Kiev. Being happy has little to do with the location. And in our modern era of globalization you can earn well (at least in the IT industry) from almost everywhere. So the question remains open. When my mother (she speaks only in Russian and Ukrainian) wanted to visit me in Stuttgart, I told her in detail how she can find my house. Step by step. The airport, the customs, the taxi, the first train, change to Ulm, the second train, the bus. I have written many notes with German phrases that she can read or show. And when she came to Stuttgart, she told me all my notes and explanations were useless. She met Russian-speaking people everywhere who could help her. Even the bus driver spoke to her in Russian. Afterwards we were together in Baden-Baden. The only place in Baden-Baden where you can not hear Russian is probably the Friedrichsbad. The reason: this spa is completely textile free :-). Thank you very much for the informative interview.